You can run REPORTS to track, for instance, how many times an employee was late, tardy, called out, etc. for any date range. To designate shifts for one of these types of situations, you can create a new Category (Ex. Late, Tardy, Called Out. etc. ), then you can click on any shift in the schedule, change the actual times worked or paid hours if appropriate, then choose the Category. 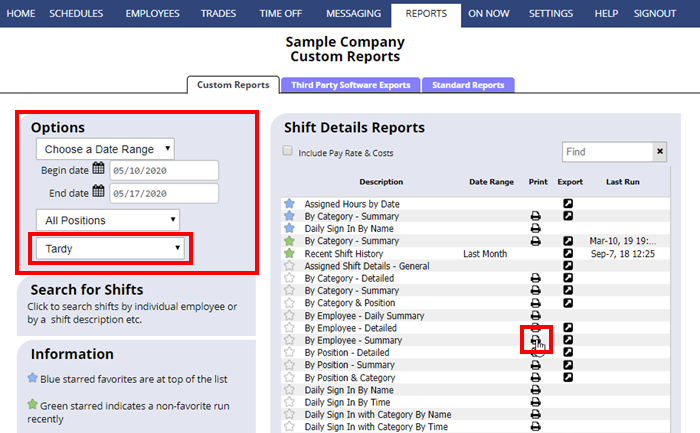 Then you can use the REPORTS section to choose that Category and run a report showing how many of those types of shifts each employee had for any date range. This method might not work well if you already use Categories for all your shifts for other designations, as you can only set a shift to be in one Category at a time. If you Import your shifts from the previous week, the Category information will be imported each week. 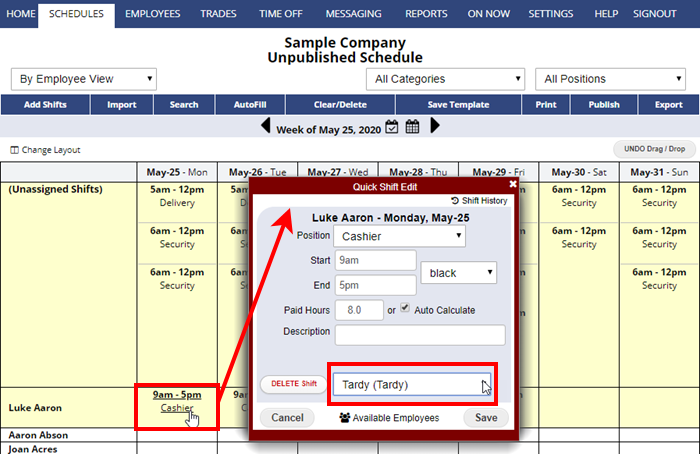 If you use this method for tracking late shifts, we recommend that you save a template of your shifts and import that template each week instead of importing the previous week which might include those temporary Category designations.